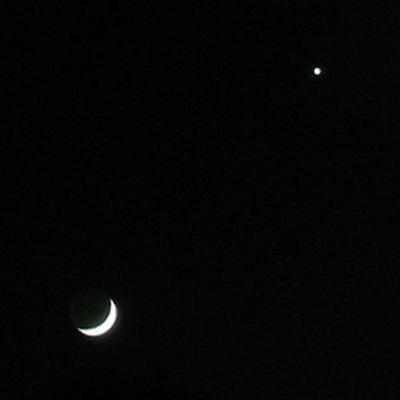 This is a compilation of all the astronomical pictures I have taken. 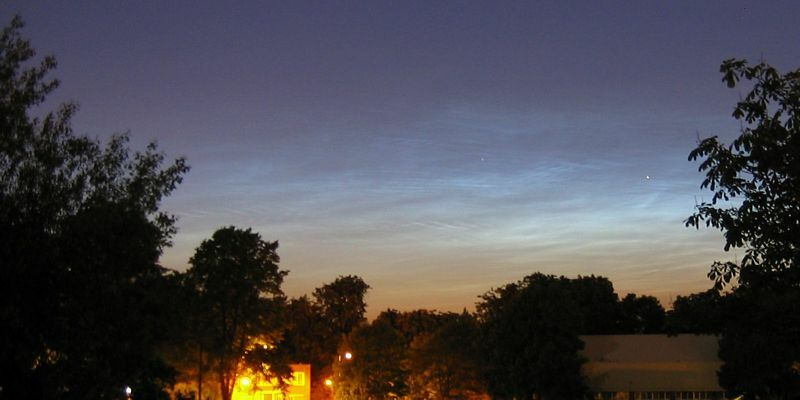 This includes any objects that are beyond the atmosphere (except the sun in a general picture), as well as space weather related pictures such auroras. 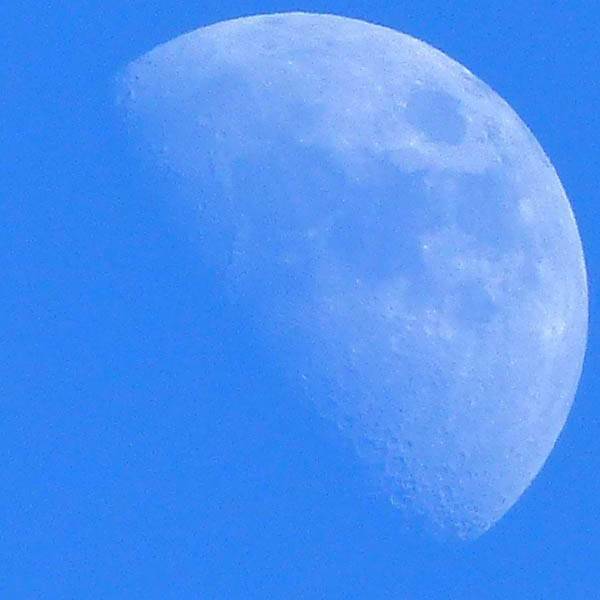 Most of these pictures have been taken using my Canon Powershot A80 (or A40 for older pics) camera. 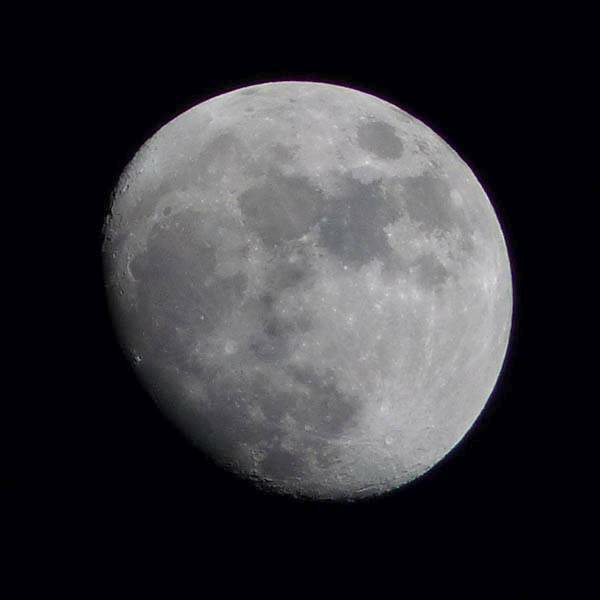 However last year I bought a Celestron Nexstar 80GTL 80mm Refractor telescope and also a Philips ToUcam Pro II Webcam. 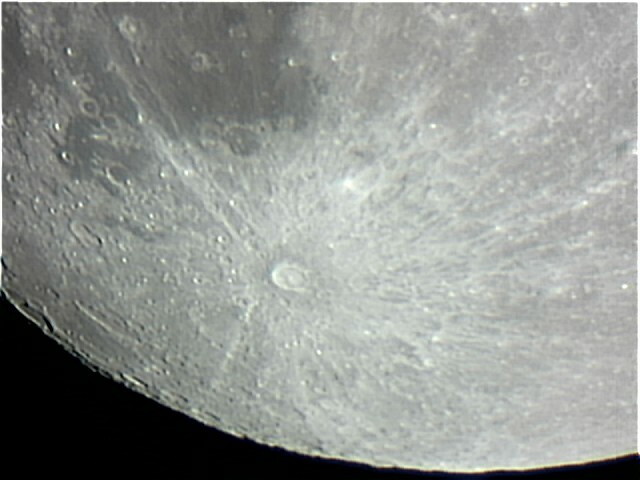 With these working together I have taken a few pictures directly from the telescope, aligning and stacking a sequence of frames to average out the noise, and then enhancing the image using the Wavelet technique - all done using the freeware program Registax. 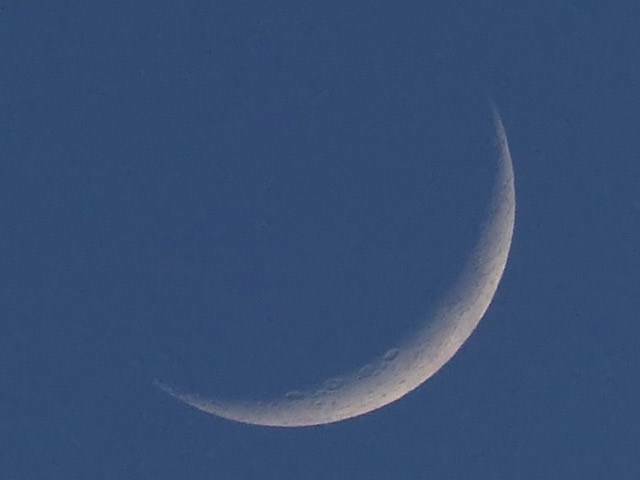 22nd March 2004 - The Moon and Mercury 8th June 2004 - Venus transiting the Sun 20th July 2004 - The Moon and Jupiter 27th September 2004 - The Moon through an 80mm Refractor. 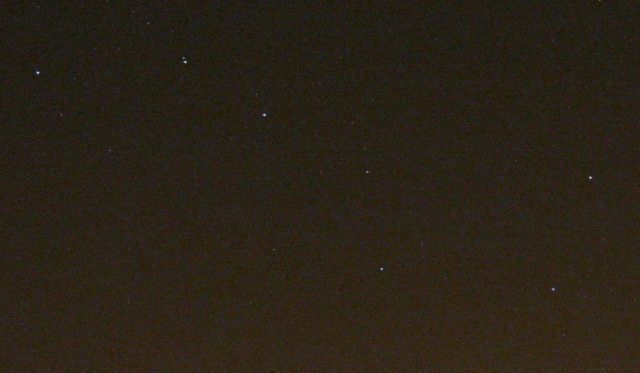 5th January 2005 - Comet Machholz and the Plaiedes 8th January 2005 - Saturn through an 80mm Refractor. 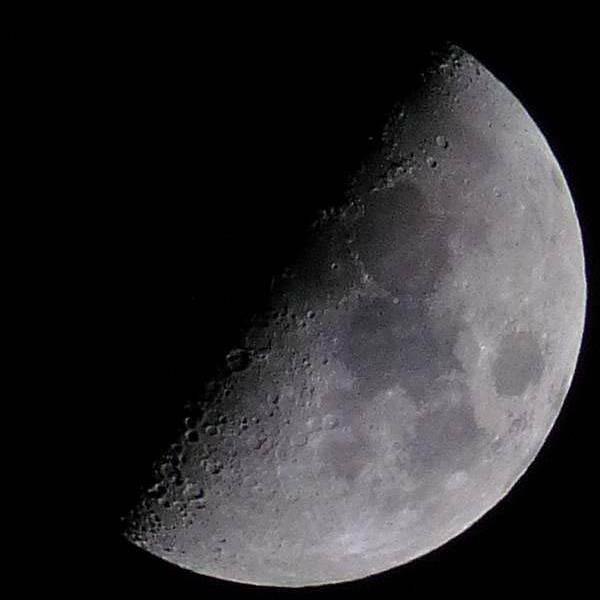 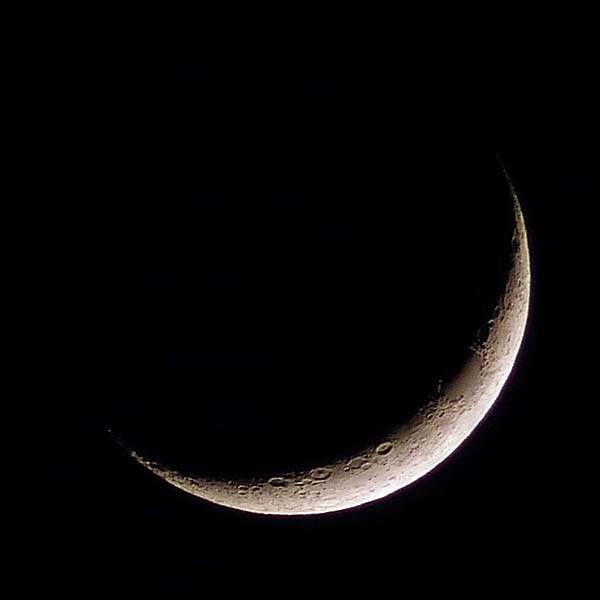 14th November 2005 - Shots of the moon after dark. 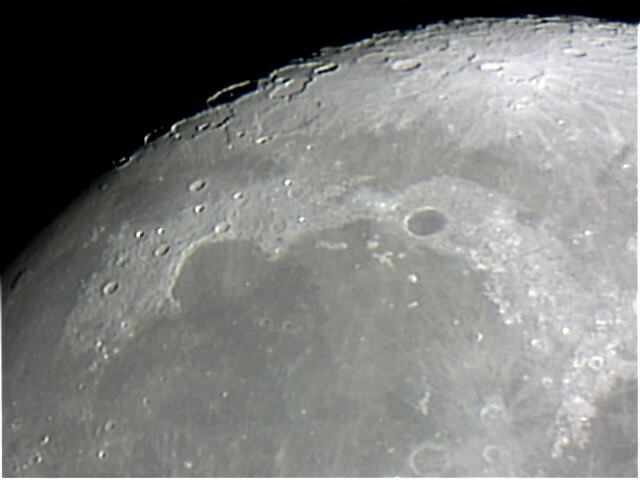 At 1/40s exposure the lunar surface detail is visible. 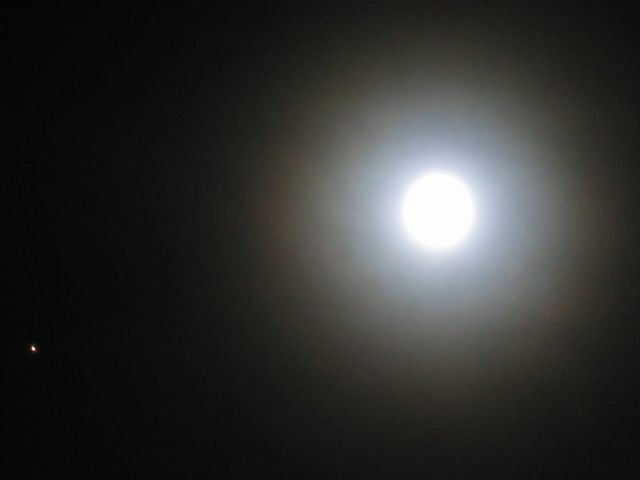 But at 1s exposure a pretty halo appears (revealing cirrostratus cloud) along with nearby Mars. 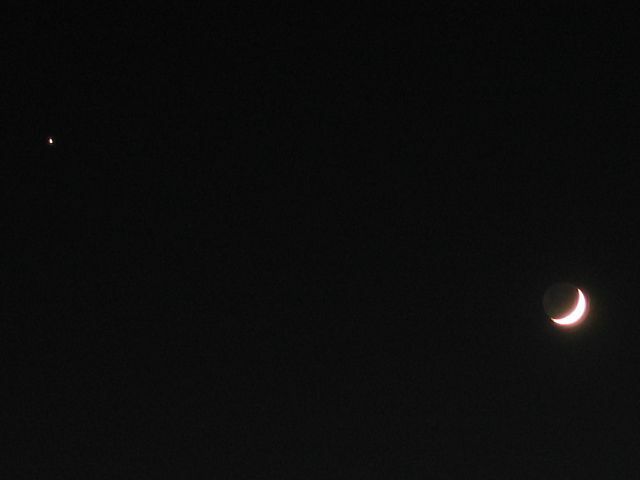 3rd March 2007 - 4 shots of a total lunar eclipse. 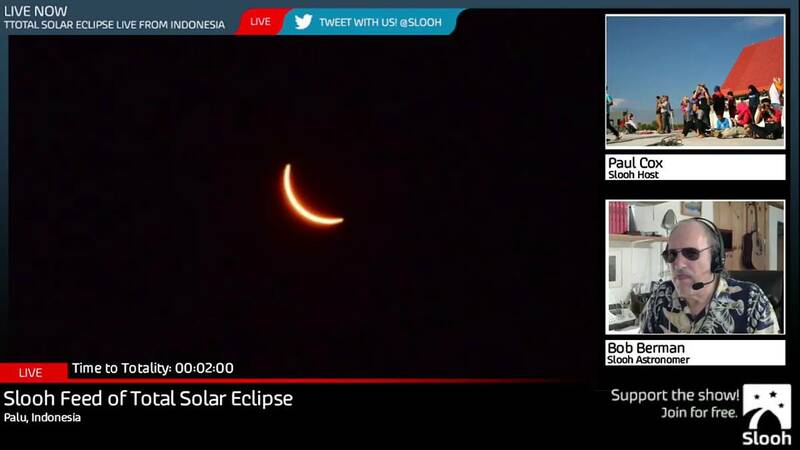 Thumbnails are full size. 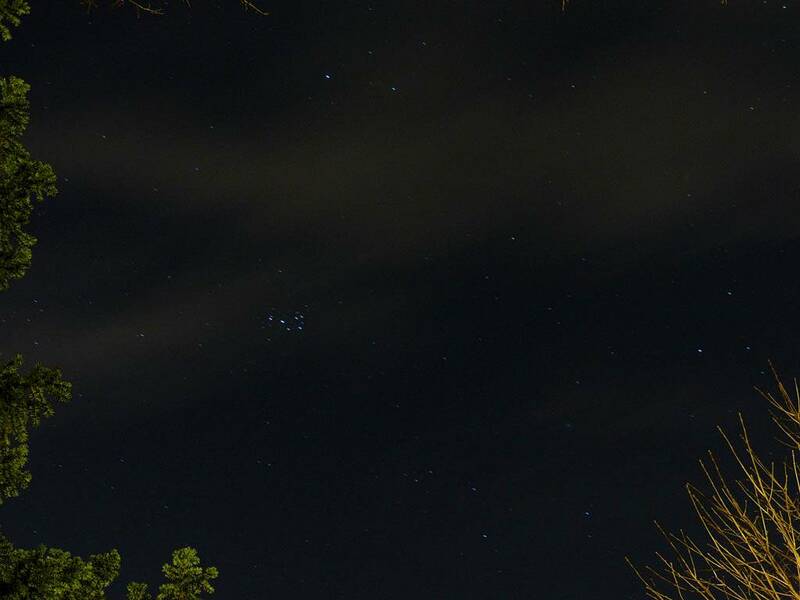 Last shot was a 10 second exposure. 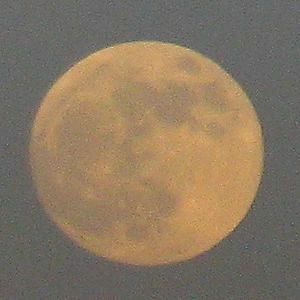 29th January 2010 - Full moon rising at sunset. 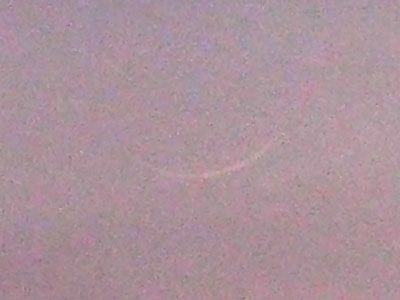 15th April 2010 - Brand new moon sliver. 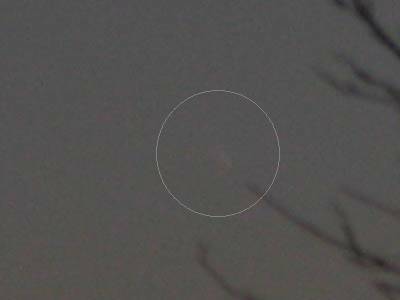 13th March 2013 - A rather faint view of comet Pan-Starrs (circled to aid spotting it). 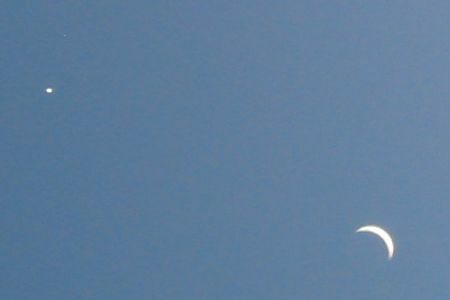 (It looked much better in the binoculars! 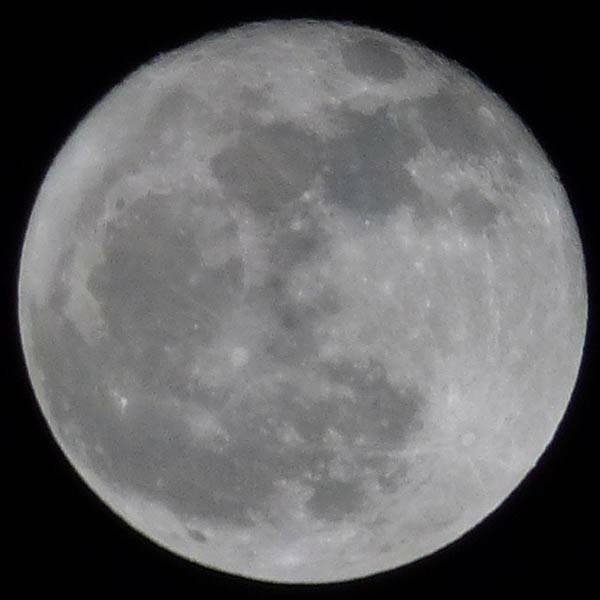 My camera was pushed to its limit here.) 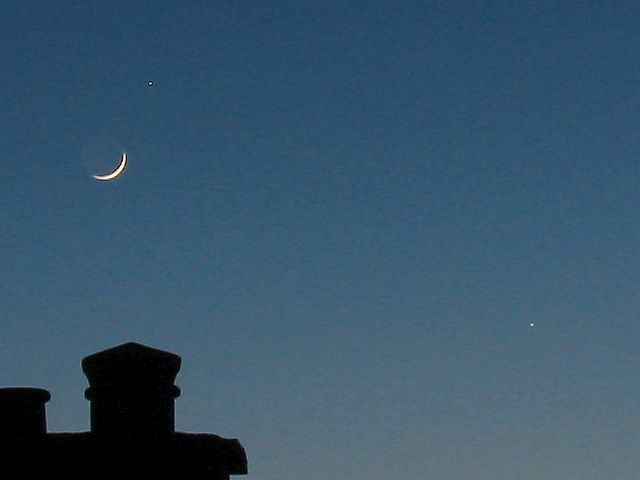 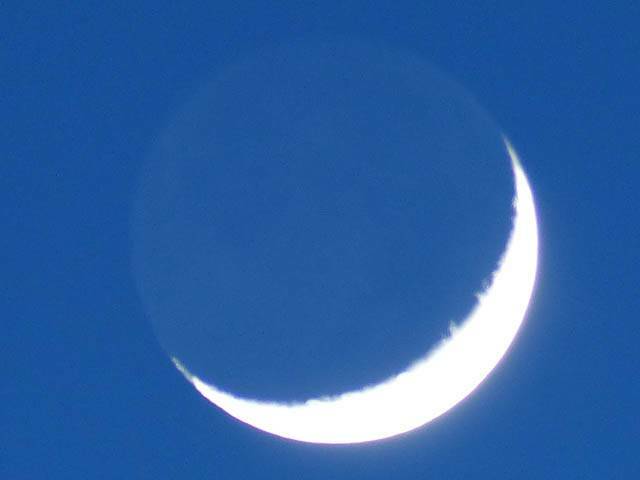 2nd February 2014 - The new moon with earthshine over Kenton. 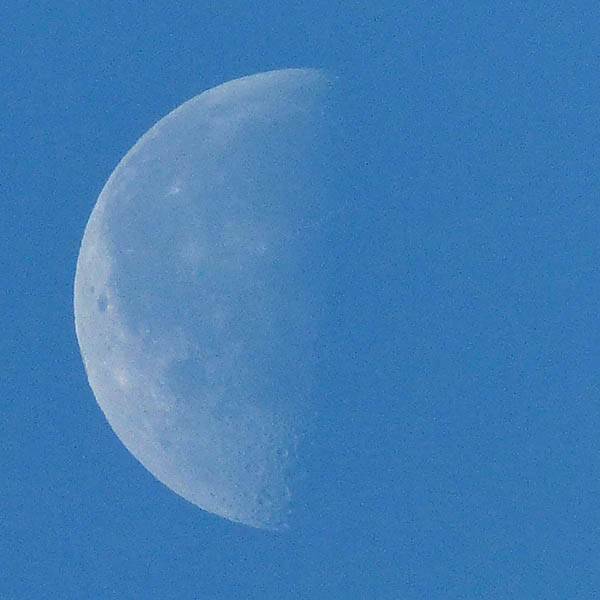 11th - 22nd February 2014 - Moon over Hendon. 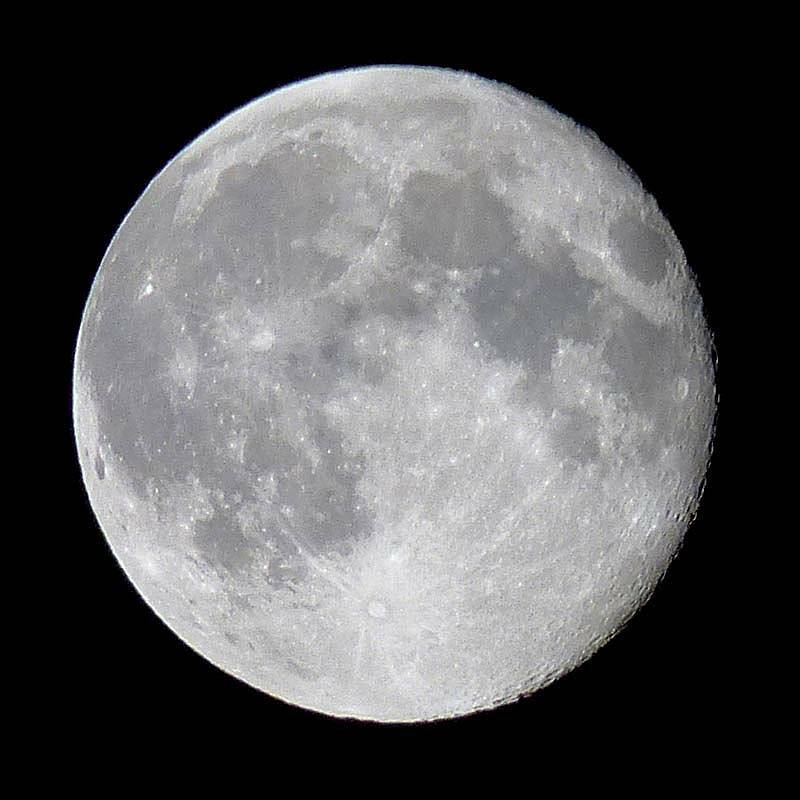 8th March 2014 - Moon over Stockley Park and Hendon. 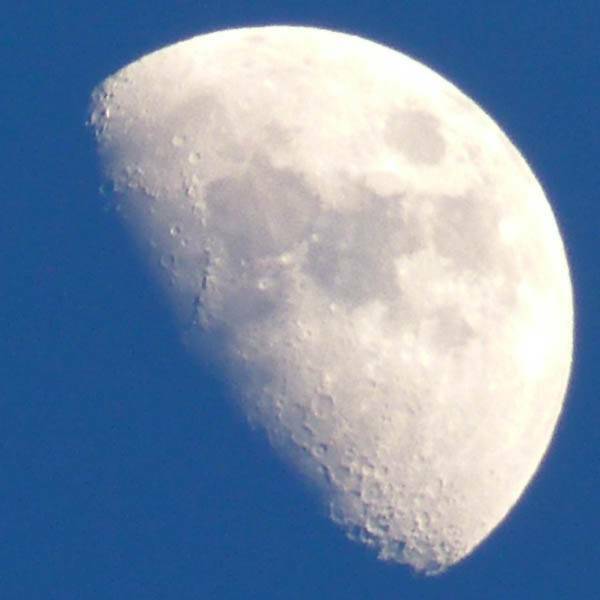 9th March 2014 - Waxing gibbous moon over the Dunstable Downs. 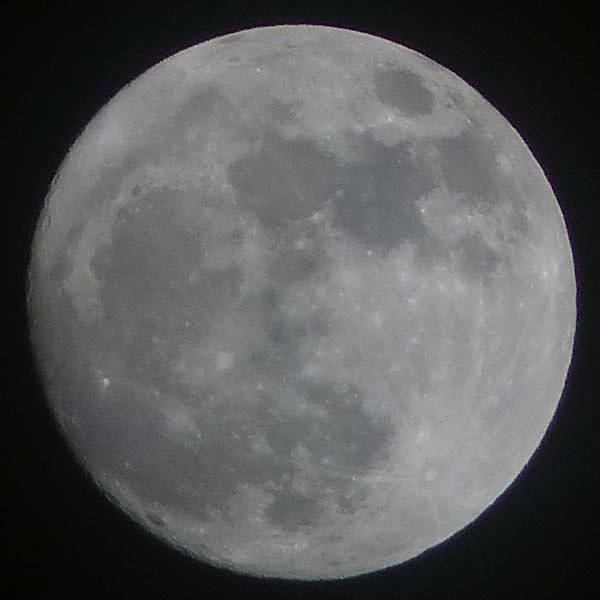 11th August 2014 - Hendon apogee moon, one day after full. 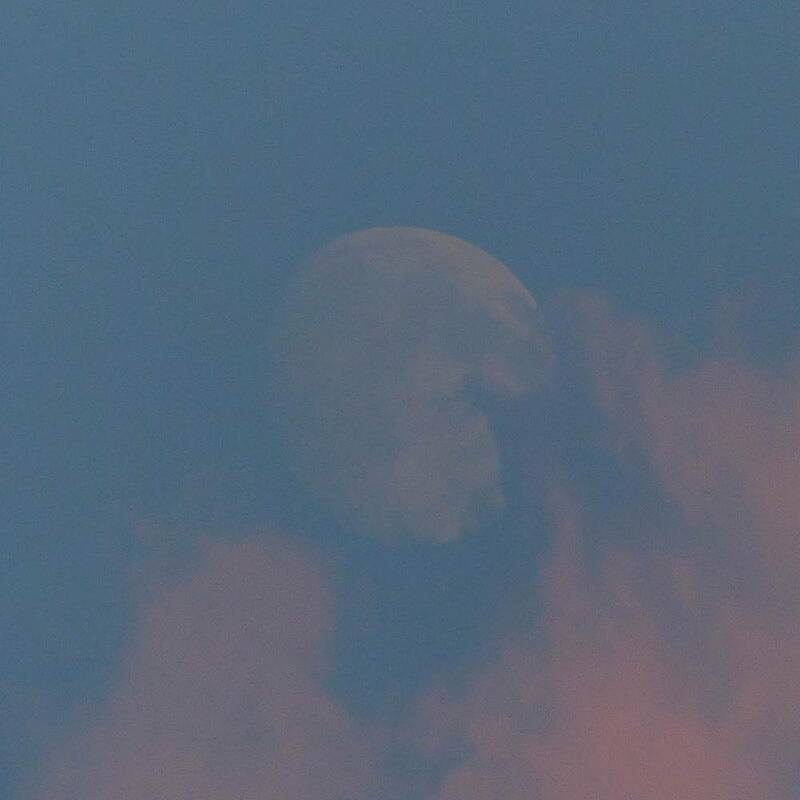 6th September 2014 - Hendon sunset moon, a couple of days before full. 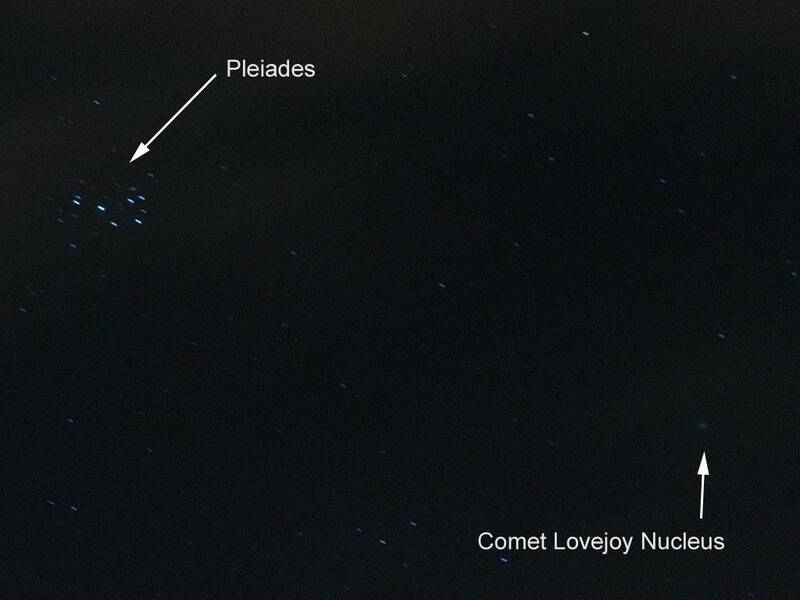 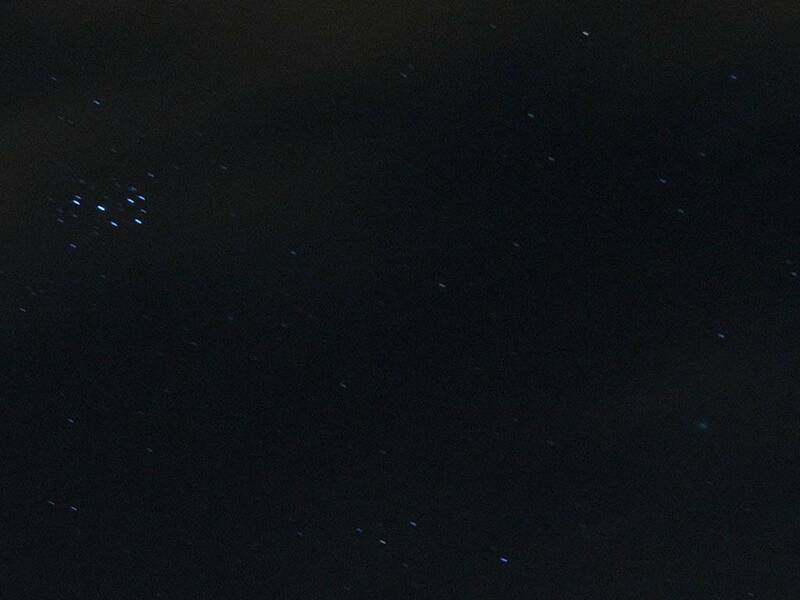 19th January 2015 - The Pleiades and Comet Lovejoy. 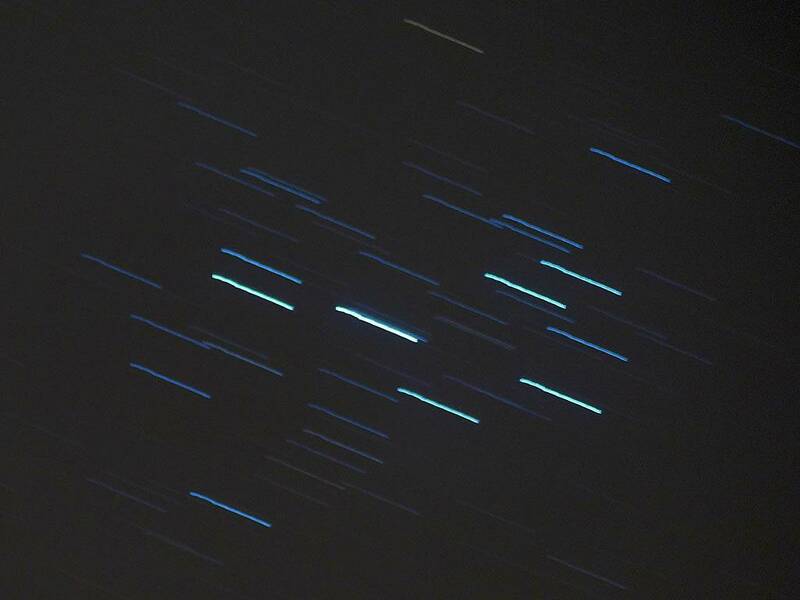 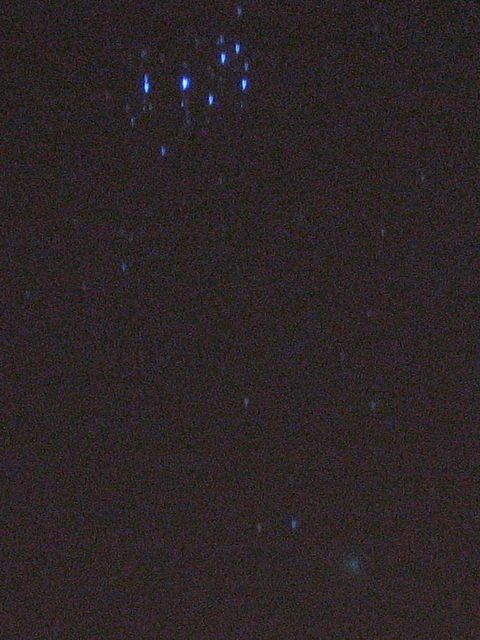 19th January 2015 - Pleiades star trails. 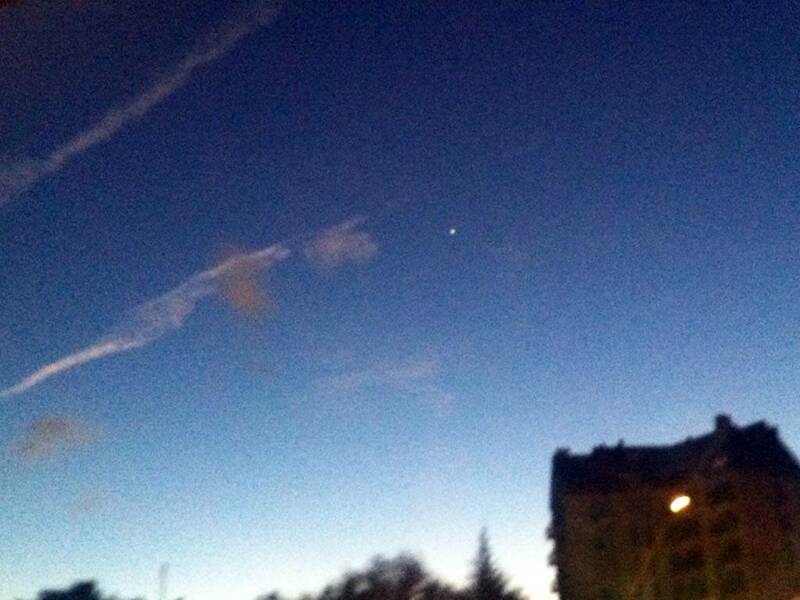 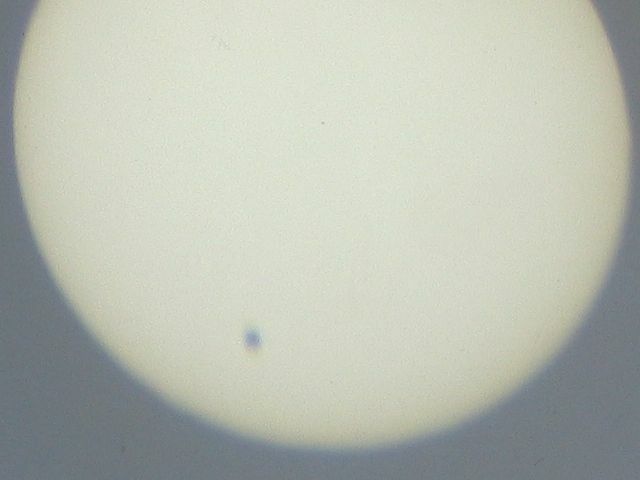 27th March 2015 - Venus above Jaca, Spain. 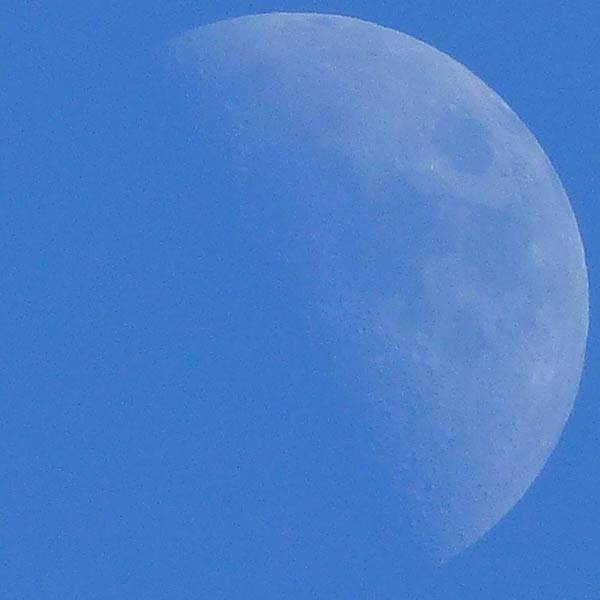 28th March 2015 - Half moon above Aerodromo de Santa Cilia, Spain. 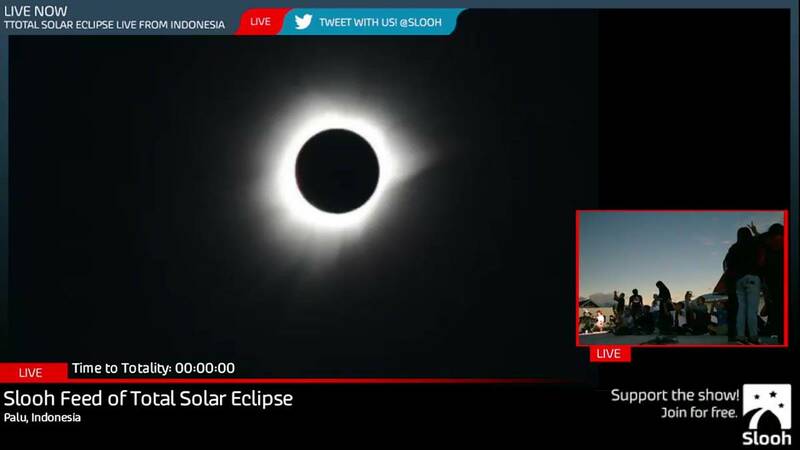 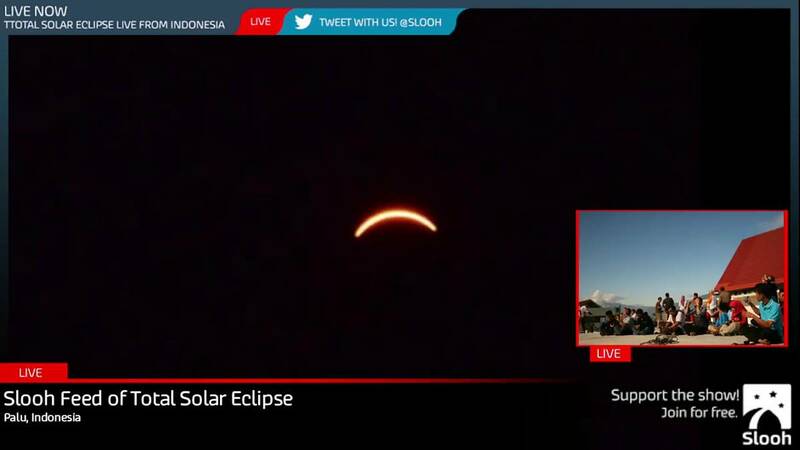 9th March 2016 at about 12:20-12:30AM GMT: A total solar eclipse in Indonesia seen via a live web stream from the Slooh observatory in Palu. 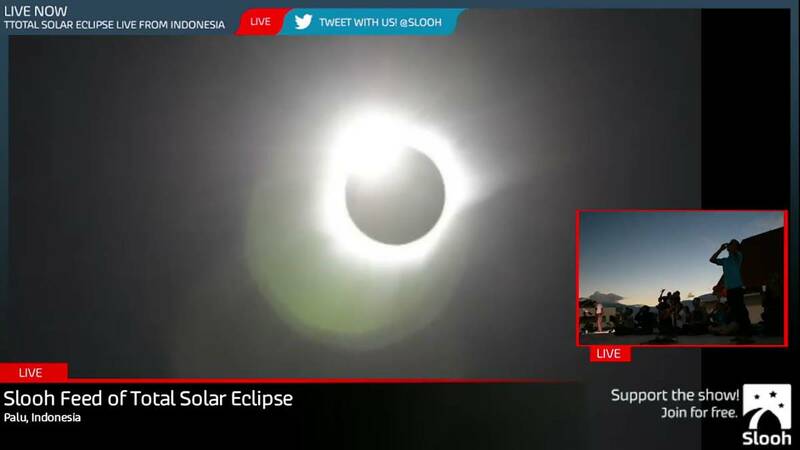 I couldn't resist some screen grabs as I watched. 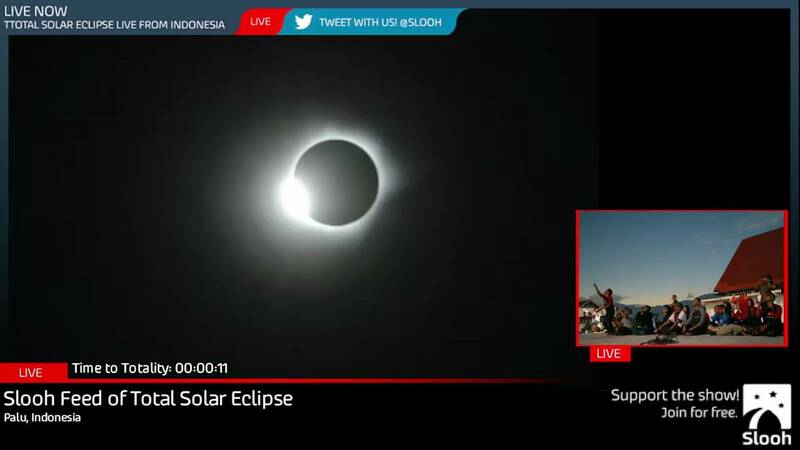 The next best thing to being there. 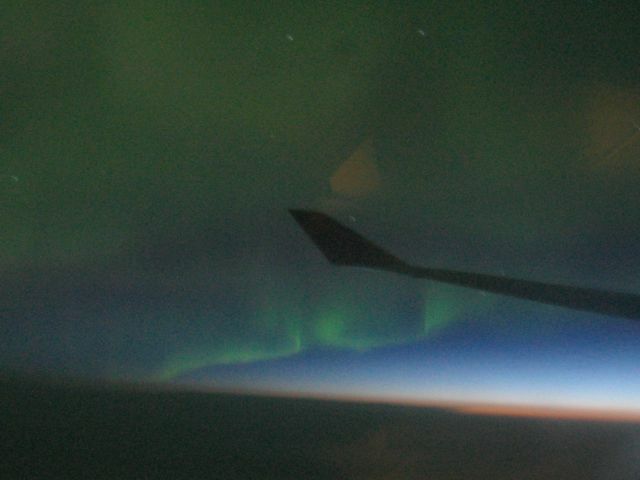 24th July 2004 - An aurora over Canada see from the back of a jumbo. 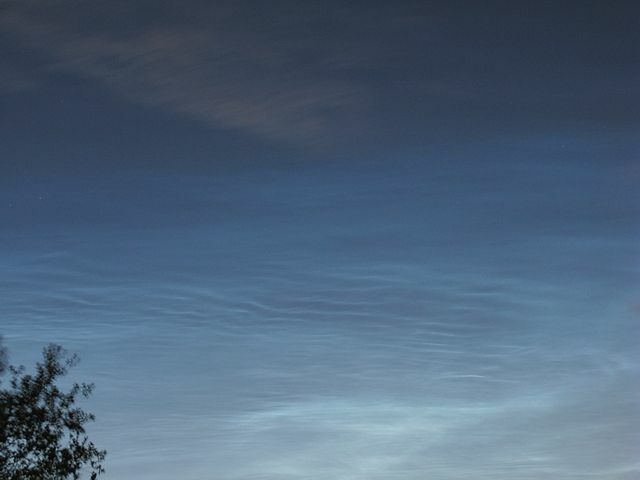 19th June 2005 - Noctilucent clouds in the Northern skies above Kenton. 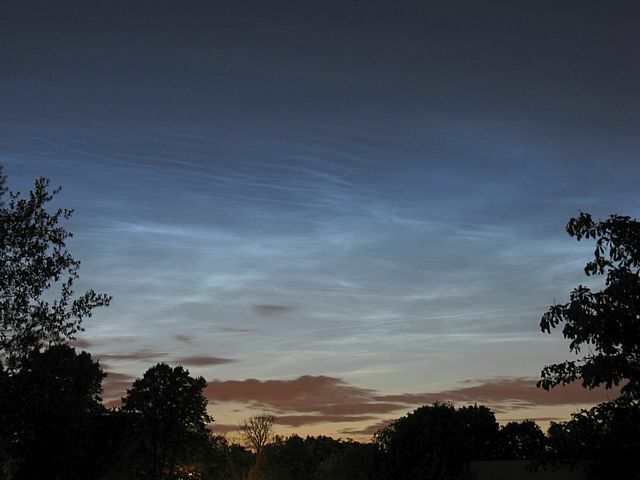 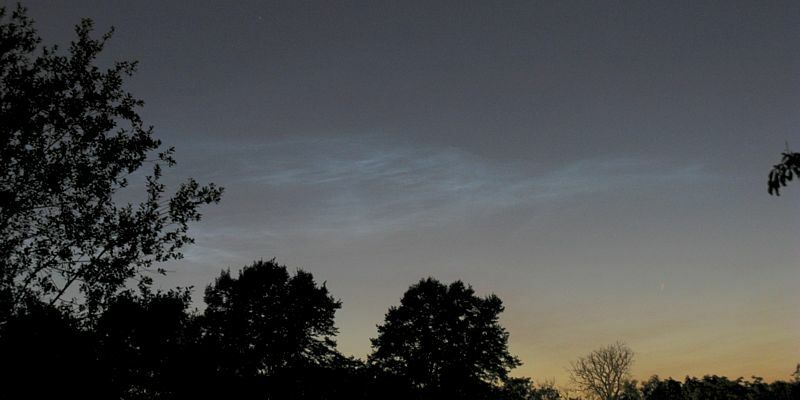 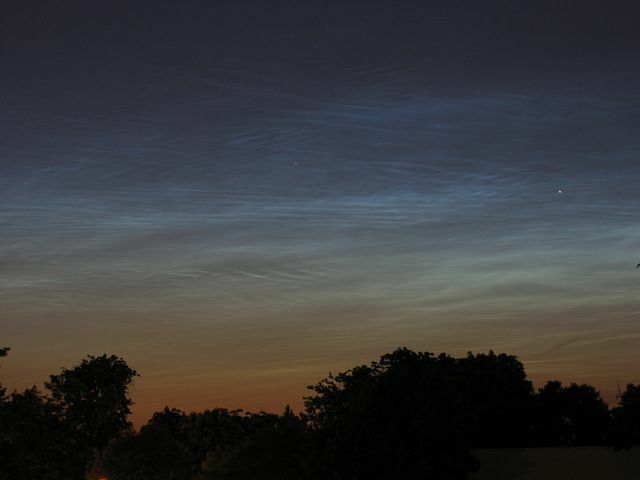 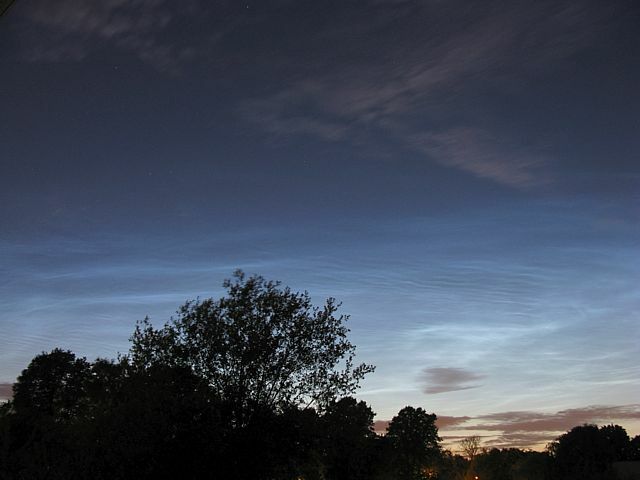 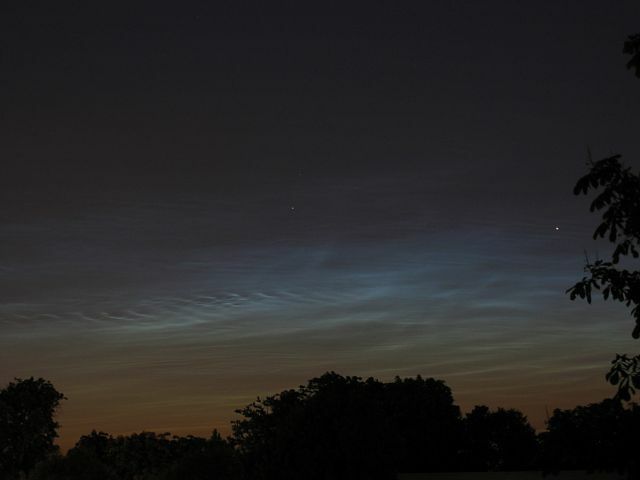 3rd July 2009 - Noctilucent clouds in the Northern skies above Kenton. 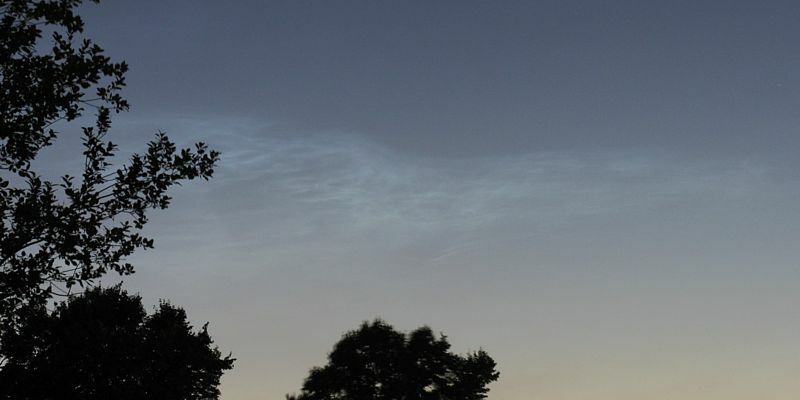 12th July 2009 - Noctilucent clouds in the Northern skies above Kenton.